Today we eliminated three editorial positions in an effort to align our staffing levels to expected revenues in 2015 and levels at similar sized media companies. These are always tough decisions and my heart goes out to those who departed. Their loss will be felt by all of us. Please know that these changes represent the full extent of planned reductions in the newsroom. While changes like this are very difficult, we can now focus fully on pursuing a variety of opportunities that will help us move forward. You may recall that Perdue’s predecessor as editor, Bob Unger, resigned in December rather than implement GateHouse-ordered cuts. Boston Globe reporter (and GateHouse alumnus) Jon Chesto wrote at the time that Unger was “hoping his sacrifice will save two or three lower-paying jobs.” If you scroll to the bottom of Chesto’s story, you’ll see what I told him: Don’t count on it. For your background, I have been a reporter at the Telegram & Gazette since September 2007, during which time I have had one small pay raise. The cumulative impact of inflation over the last seven years of my employment has been to reduce the value of my annual earnings by nearly 14 percent. My vacation allotment was reduced from three weeks a year to two weeks by Halifax Media Group. Meanwhile, our benefits cost more and cover less than before the Halifax acquisition…. All I require is a 3 percent raise and restoration of my previous three-weeks-a-year vacation allotment. The meager raise would barely be noticeable to my finances, but it’s vital to me that I see some tangible evidence of this commitment to quality journalism of which you and GateHouse speak. If you’re having a hard time following the bouncing chains, Globe owner John Henry sold the T&G to Halifax Media Group of Florida in 2014. Halifax turned around a few months later and sold out in its entirety to GateHouse, which is based in suburban Rochester, New York. Here is the analysis I wrote for WGBHNews.org in November. • Cape Cod Times to close printing plant. The Cape Cod Times and its affiliated weeklies will shut down their printing press in Hyannis and move production to the Providence Journal. This move, at least, makes sense, and has been anticipated from the time that GateHouse acquired the Journal last summer. But “an undisclosed number of jobs” will be eliminated, writes Times reporter Bryan Lantz. And here’s more from Jon Chesto. *For the sake of simplicity, I am referring to the corporate owner of all these papers as GateHouse Media. The chain’s acquisition branch is known as New Media Investment Group. Update. 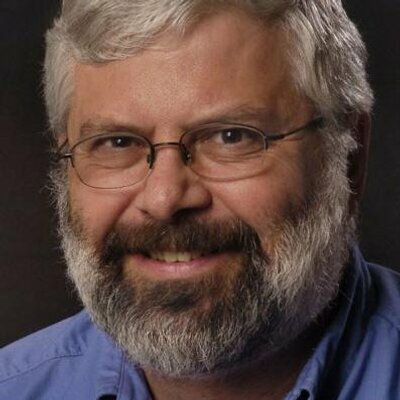 I’m now hearing that DeCosta and two other newsroom people were let go at The Standard-Times — not counting Rios, who’ll begin his new job at WBUR soon. Sorry to hear all of this. I had no idea that Bob had quit. I was a colleague of his when I was EE at what was then a Dow Jones and later Gatehouse paper in Stroudsburg, Pa. A shame. Bob was a good guy. How can “Beth Perdue” live with herself? You really think that it was the decision of the Editor of the Standard Times to eliminate three newsroom jobs… It is a giant, media conglomerate that owns the paper….. She is probably lucky not to have been axed herself…..
We have a house on the South Coast. I have subscribed to the Standard Times for years and served as a member of its Citizen Editorial Board, meeting bi-weekly with the papers’ leadership interviewing a wide variety of politicians, business and community leaders. This was a top notch local newspaper that has pretty much gone down the drain since it was sold by News Corp. Ironically everything I heard from inside the paper was laudatory towards News Corp as a corporate parent. Now it is a shell of itself. This is a real loss to the South Coast.